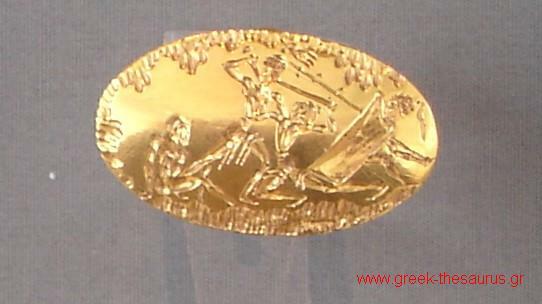 Mycenaean jewelry pictures collection from greek museums Each thumbnail photo is a link to a larger version of the same photograph. A unique gold covering for the body and the face of an infant, consisting of pieces of gold foil. A distinctive detail are the ring-shaped earrings. 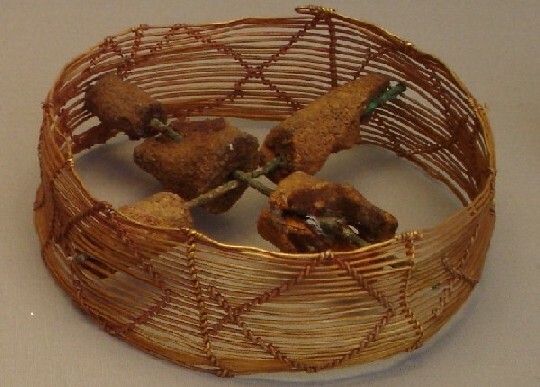 Grave III (Grave of the Women), Grave Circle A, Mycenae, 16th.cent BC. With beads in the shape of lilies and waz lilies alternating with semicircles. 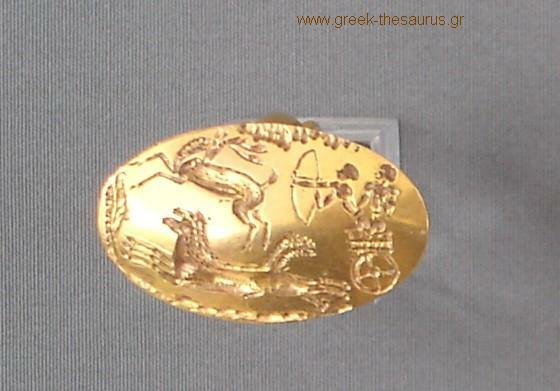 Tomp 10 from the Mycenaean cemetery of Midea in the Argolid. 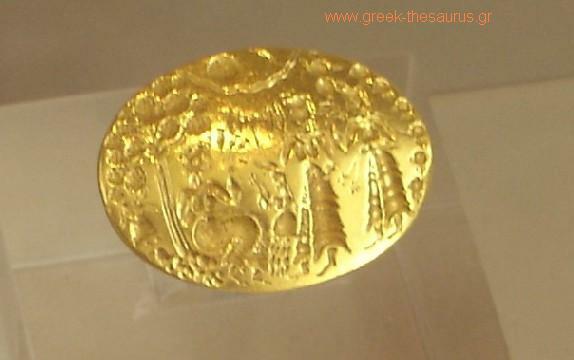 15th cent.BC. 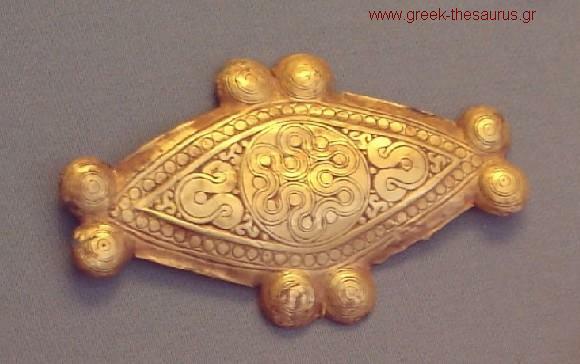 Gold elliptical diadem with leaf-shapes piexes at the top. Grave III. 16th cent. BC. National Archaeological Museum of Athens. The reconstruction is based on a picture from Axel W. Persson's book, "New Tombs at Dendra near Midea", Lund 1942.